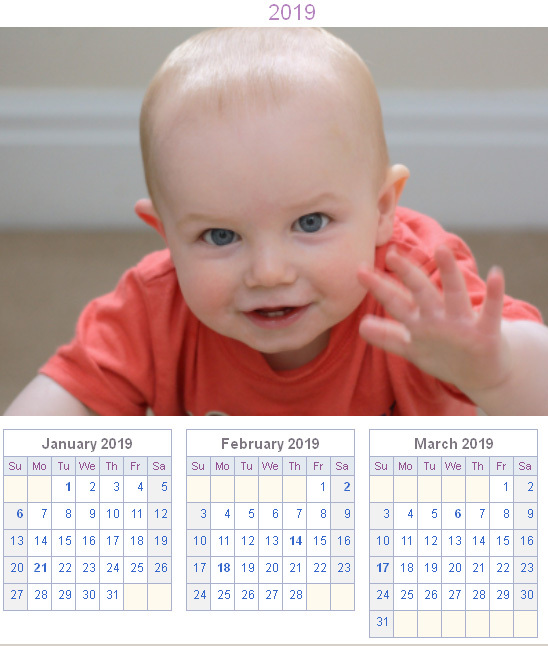 Plus use WhenMyBaby's calendar generator to create yearly calendars for 2019, 2020 and other years, showing holidays and more. View samples (reduced in size*) below. Customize your baby's monthly calendar. Just upload a photo (optional), select the month or entire year, and enter baby's birth date. 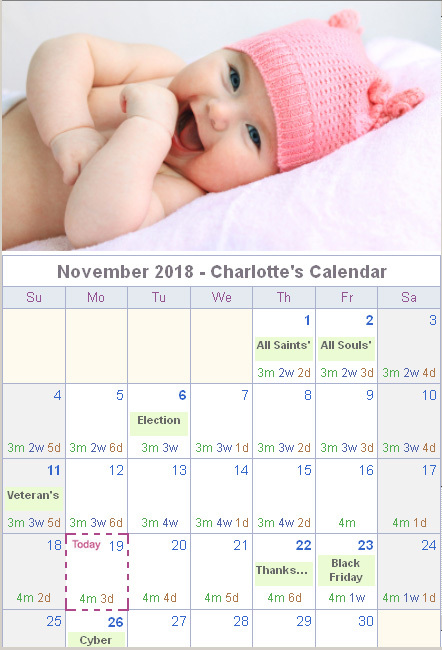 Notice how each date in the calendar shows exactly how old baby is: for example, on November 11th 2018, a holiday, baby Charlotte was 3 months, 3 weeks and 5 days old! This 2019 yearly calendar is personalized with a baby photo. Holidays appear in bold, and a list of all the year's major holidays are listed below the calendar. You can also opt for an age chart on the yearly calendar, helpful to easily see your child's age milestones. You can choose several options when building your monthly or yearly calendar: specify which day starts the week (Sunday or Monday), if week number should display, show holidays, age format, personalized monthly title. A useful feature for the yearly calendar is that it can start at any month - not just January. 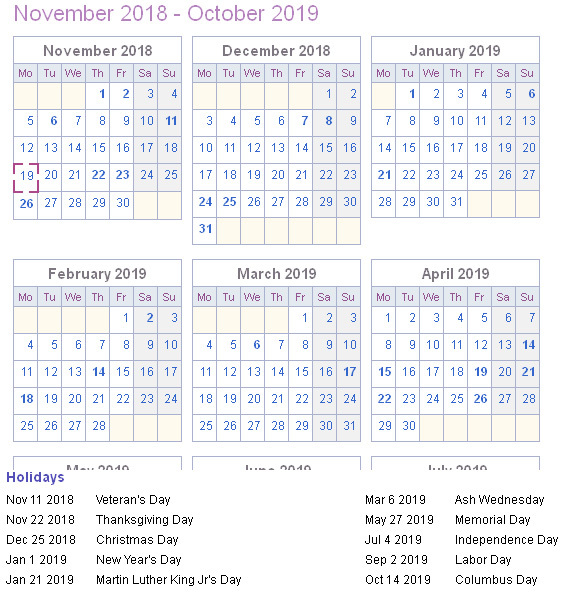 As shown here, the calendar starts in November 2018 and displays 12 months ending October 2019. *Note: Samples above are reduced in size, based on smaller smartphone device widths. Some text, like holidays, are abbreviated on screen, but when printed (e.g. on 8.5x11 paper), full text displays.